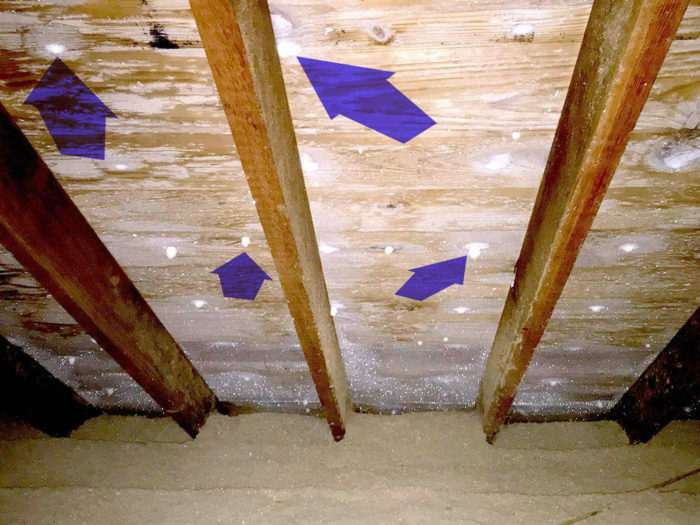 During winter conditions, attic frost is a problem. The frost is a direct result of conditioned air leaking out of your home. When the warm air from inside the home escapes, traveling up through the bypasses and joints. The moisture condenses on the roof boards and rafters, forming frost. 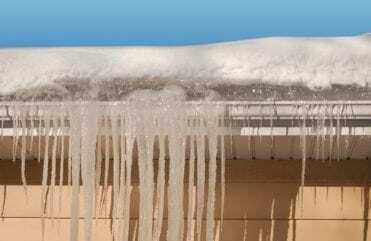 Frost forms in attics when warm, humid air accumulates and condenses on the underside of your roof sheathing. 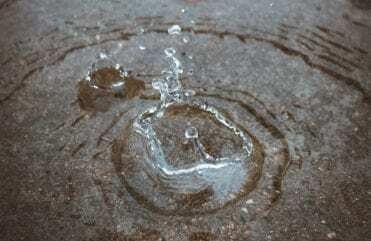 When this happens and the outside temperature begins to rise, the attic frost thaws causing water to collect. 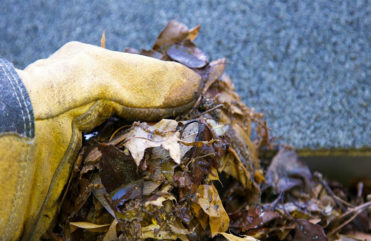 The water can lead to mold on the roof decking, wet insulation, and find its way back into the home resulting in water stains on the ceilings. One sign of attic frost can be stains on the ceilings of your home. As we all know, Iowa winter weather can change in a heartbeat. It can be below zero one day and above 40˚F the next creating a vicious freeze-thaw cycle. If your home is not properly air sealed this can cause serious damage over time. I have used Home Solutions of Iowa for gutters and for my insulation at my house and was more than impressed with the quality and service. I would recommend them to anyone! I was satisfied with their communication. We were informed every step of the way. - Linda B.
HSI did a fantastic job on my whole-house insulation. Instantly felt a difference in the temperature of the house after the job was complete. Very professional and would recommend them to anyone. - Carl J.